As I pack my bag I can't keep away my excitement. Flying to Lisbon as become routine for me over the years, after all it's just a short trip from London and for a Portuguese living abroad it's never close enough. Yet this time the excitement is for something more than just going home for a deserved break. 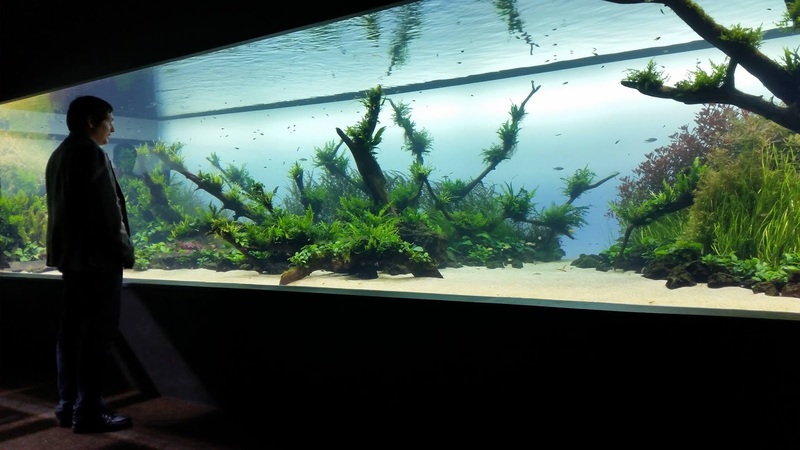 This time I am going for scapetour, a gathering of aquascapers from over the world in Lisbon to see Takashi Amano's masterpiece the 40 meter long Florestas submersas aquascape (forests underwater). It all started as when American aquascaper Brian James planned to go to Lisbon. Then other American scapers joined in, and very soon the world. What began as a personal trip grew to be one of the biggest, if not the biggest gathering of aquascapers spanning multiple countries. Soon Amsterdam was added to the tour, with a visit to the aquaflora headquarters and some scapers went as far as spain to checkout aquascaping shops. I was added by Brian to the event, and from then it was a rollercoaster trying to reschedule holidays and getting a last minute flight. I will only go to Lisbon but i wouldn't lose this for the world. A chance to meet in person many of my fellow aquascapers. The center of the Lisbon tour is to see the Florestas submersas as mentioned above. And here different feelings come to my mind. For many scapers on the tour this will be their first visit, but for me it will be the third. I wonder if this visit will mean to them what it meant to me. 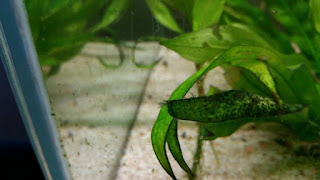 My first visit was just a few weeks after it opened and it stands as the most memorable moment in my aquascaping life. One I shall never forget. At the time i was questioning myself, and my position in this hobby. Professional and personal commitments were making it increasingly difficult staying in the hobby. But my first visit to this masterpiece was like finding my meaning of life. I remember like it was yesterday, a sunny April afternoon I dragged my wife to the oceanarium. I looked like a kid with a new toy, barely containing my excitement. I had seen the pictures online in the previous weeks and even seen the making of videos released by ADA. But nothing could prepare me to seing this in person. 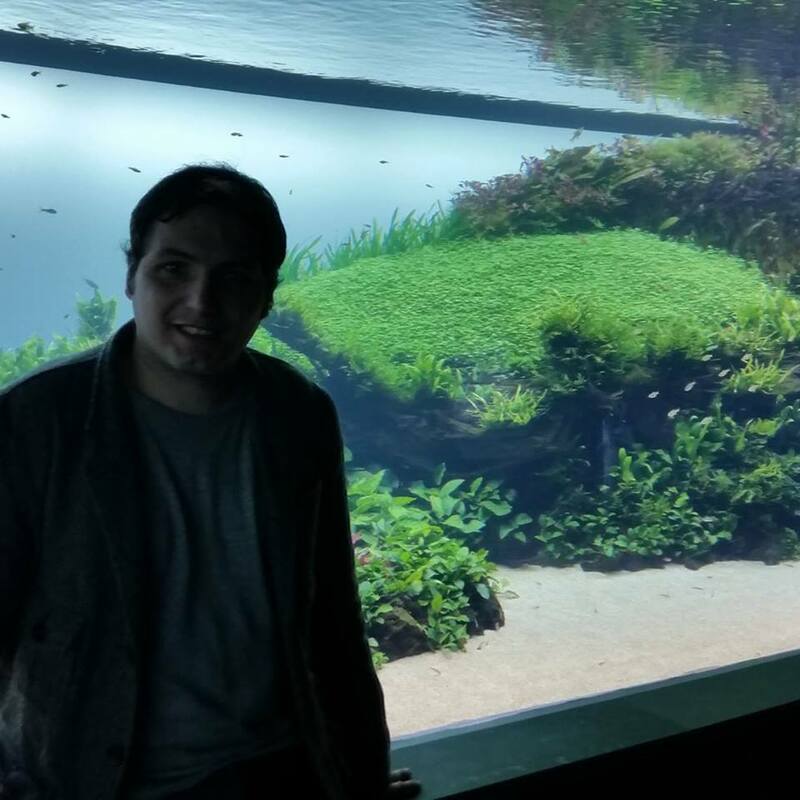 Here it was this massive piece of nature, having an aquascape at home as amazing at is it is, in the end it's still having an aquarium at home. This tank though is like a trip to an underwater world, a true ecosystem. The amount of details, the healthy and vibrant plants, the fish and shrimp and the way they behave in this tank is nothing short of amazing. The massive size of it meant that different species of fish are actually living in different areas of the tank. All this while giving its audience a sense peace, like if time flows slower in this room. And indeed it must do. When I looked at the watch three hours had passed. I remember well the last thing I did before leaving was sit for about 20 minutes reflecting upon what I was seeing and trying to understand the impact this would have on me. 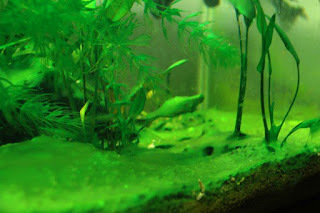 I made a commitment then and there, aquascaping is not just a hobby for me, it's a way of life. I left in awe of this tank, and how a man's vision was able to see nature unfold before it actually did. How a man could he himself create nature and still give us something so majestic that truly shows that no matter how much we try, nature always does it better than us. That moment I just wanted the chance to meet this man. Unfortunately with Amano's passing that was not to be. I took his challenge though, in a video playing at the exhibit he said that the scape was still in its infancy and that in a few months it would mature and look something completely different. So 4 months after I went to see it again to see the matured scape. This second visit further highlighted Amano's genius as the scape had matured just like he predicted and really looked much different than in the first. It was a special moment, this realization, and the fact it happened shortly after his death it served as my way of paying my respects to the great man. It didn't have the same personal impact of the first one though. The first will stand through time as the single most important aquascaping moment in my life. The scapetour will give me the chance to see it one last time as the exibithion is due to close down soon. To me it will be like saying goodbye. For many of the scapers attending it will be their first visit and I wonder if it will have the same impact on them that it had on me. Will it stand the test of time on their minds as well.